Getting a waiver of lien from your contractor is the most important step in concluding what was hopefully a satisfactory construction project for the homeowner. 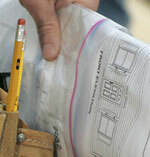 The homeowner should also file a Notice of Completion with the County Recorder's office after completion of the work. This offers further protection to the homeowner in that it reduces the time allowed to file a lien by contractors and subcontractors. 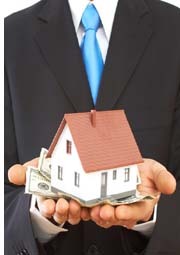 As homeowner you should also have Lien Waivers upon Progress Payments. The sample waiver of lien form supplied here is for full and final settlement of all work done. Refer to our Lien Waiver page for guidelines. However, if there are disputes about monies outstanding for extra work done not in the original agreement or any retention monies still outstanding, such exclusions must be specifically listed. Provision is made for such exceptions on the form below, or simply delete it if not applicable. Please Note: Links to all the related information and free legal forms referenced for contracting can be found on our main Contractor page. and does hereby waive and release any right to assert a claim or lien. Disputed claims for extra work in the amount of $_______________________ are excepted. Retention monies in the amount of $_______________________ are excepted. 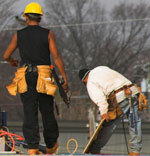 A contractor must only issue the free unconditional waiver of lien supplied here once he has been paid in full. If he is still awaiting payment, a conditional lien waiver must be issued.